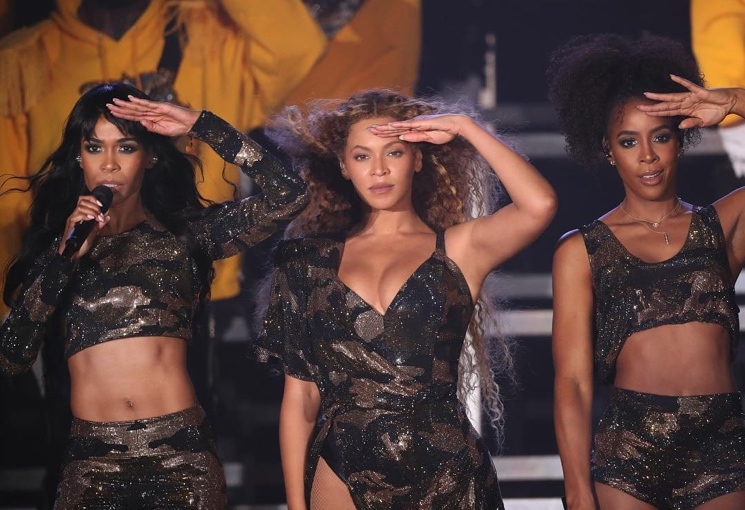 Rumours have been swirling for months that Beyoncé would reunite her pop-soul group Destiny's Child during her headlining performance at Coachella. Last night (April 15), those rumours turned out to be true, since Bey brought Kelly Rowland and Michelle Williams on stage for a few songs. The group played three songs from their heyday: "Lose My Breath," "Say My Name" and "Soldier." Beyoncé posted the above photo from the set on Instagram. As you can see, the reunion consisted of Destiny's Child's classic trio lineup, rather than the earlier quartet incarnation. Below, check out fan-shot footage of the on-stage reunion, which marked their first appearance together since their Mannequin Challenge charity video in 2016. They last performed together at the 2013 Super Bowl. Destiny's Child weren't Beyoncé's only big-name guests — she also brought out her husband JAY-Z for "Déjà Vu," and her sister Solange danced on stage for "Get Me Bodied."